We saw a huge box of rusted-iron color. It was “Signal Control Tower” designed by Herzog & de Meuron. The train proceeded into the Basel station. This is the largest border station in Europe, where Switzerland, Germany and France meet. Getting off at this station always gives me a little bit of an exotic air. Going through the neo-baroque façade, we got on the tram to run through the medieval town, and soon after things came into our sight, we arrived in the Messe venue. 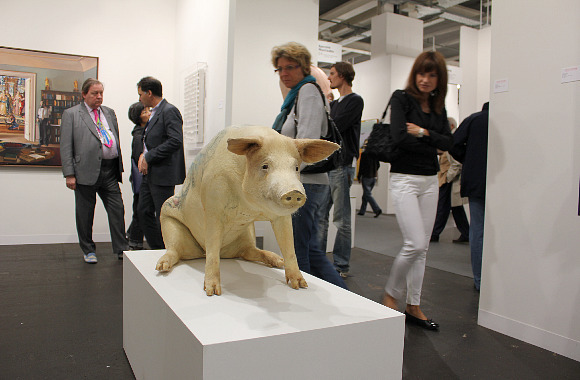 The world’s largest exposition of art, Art Basel, celebrated its 41st anniversary this year. Every year, the fair takes place before Europe goes into the holiday season. This year, it was held for 5 days, from June 16 through June 20. The preview on the 15th was a spectacular opening with invites and media people, as usual, by welcoming world’s renowned representatives of art galleries from various countries, including gallerists, curators, critics and VIPs. 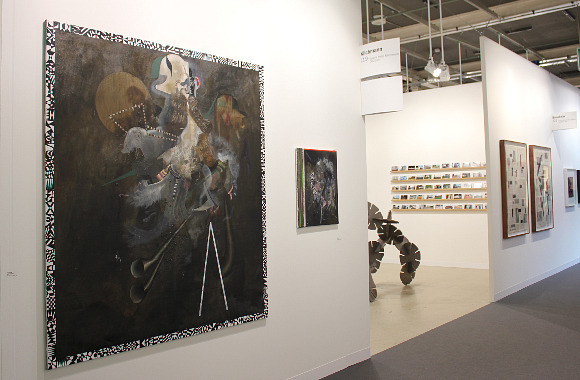 Participating in Art Basel means equal to receive the honor as one of the top selected galleries in the world. 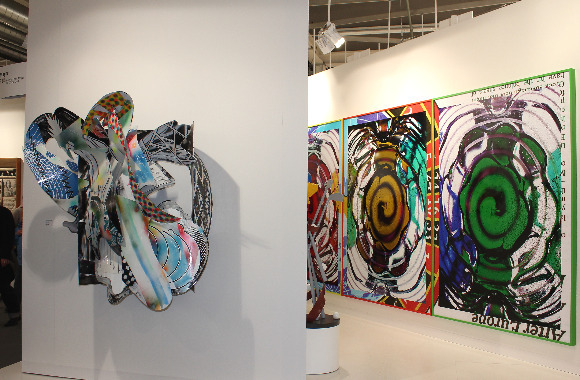 More than 300 leading galleries were carefully selected out of approx. 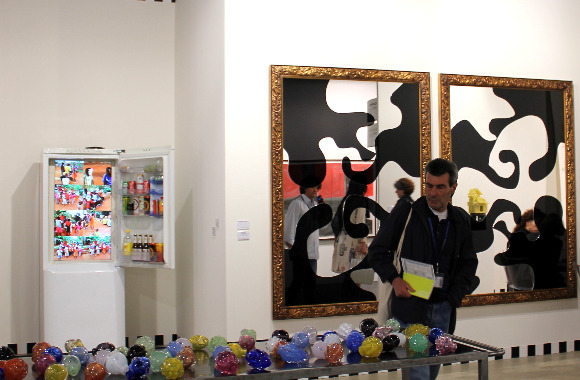 1100 applied galleries from 37 countries in North and South Americas, Europe, Asia and Africa. 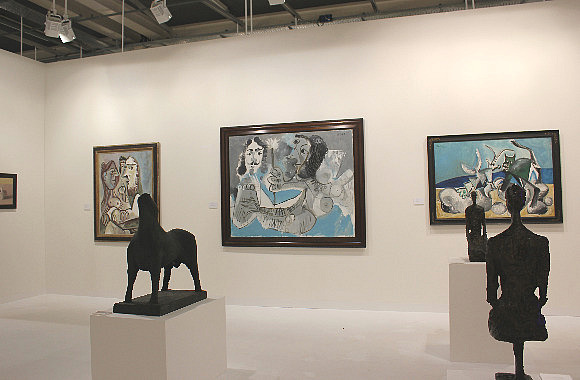 From modern art to cutting-edge contemporary art, the artworks by more than 2500 artists all gathered here. One of the regulars from Japan, a ceramic art piece by Yoshitomo Nara from Tomio Koyama Gallery, was one of them. Hiroshi Sugimoto and Marlene Dumas from Gallery Koyanagai, Kohei Nara and JJoonho from SCAI BATHHOUSE were amont others from Japan. 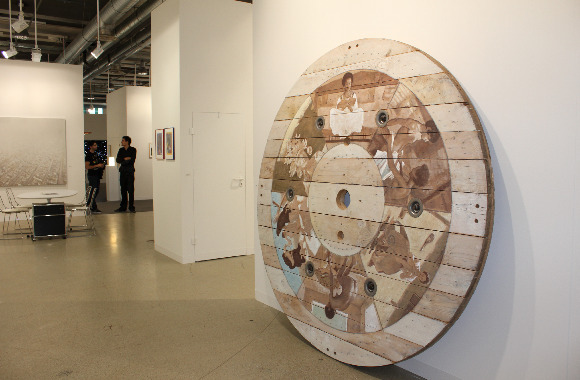 Teppei Kaneujifrom Shugorats, Yuki Kimura and Garcia Torres from Taka Ishii Gallery, and so on, followed. 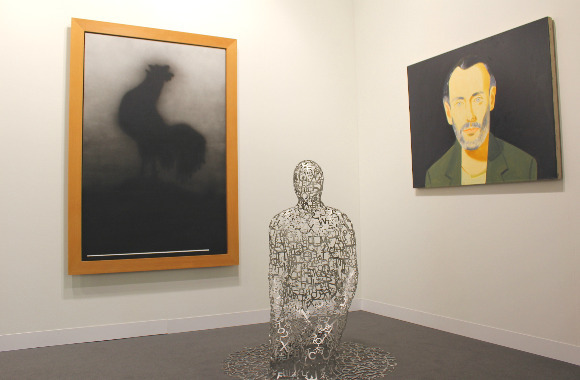 Each gallery expands its collectors and fans every year. During those days of the Fair, the World Cup in South Africa was demonstrating its exciting games coincidentally. 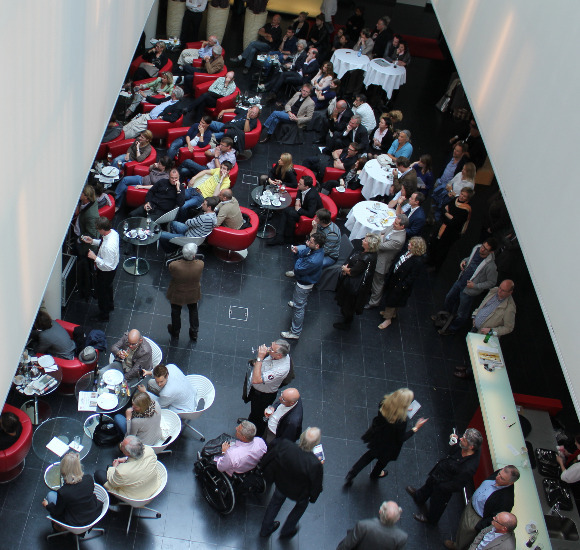 Adjacent to the main venue, at the café in the building where the media center was setup, the gallerists taking a break and other guests were all cheering. 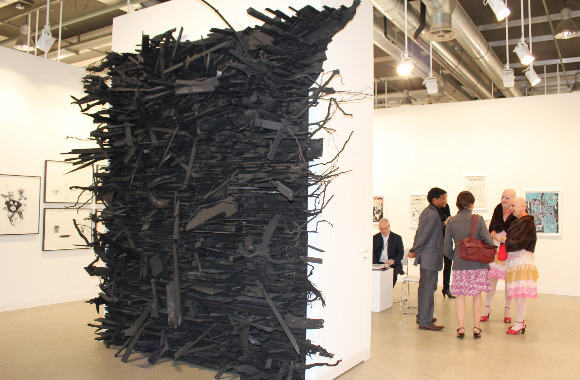 Last year, a solid black cross was displayed at the front of the site, with Art Basel-like irony, and very tense atmosphere was observed in every gallery. 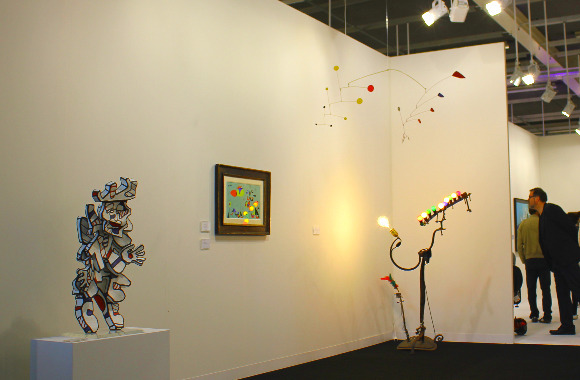 However, with this year’s relaxed air, it appeared that the pleasure to walk around to enjoy art pieces was back. The flow from the previous fair that was intended to overcome the financial crisis, and return to the basics to face the art, seemed more stabilized, which resulted well in the firm sales. 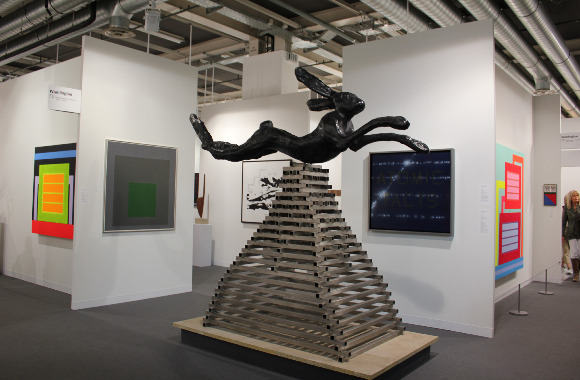 While The Art Basel Secretariat announced the high quality of the works and unexpected results, what they boasted especially as a success was the record breaking attendance of 62,500 from around the globe, showing the high level of interest and knowledge of those who came to see the show. Ernst Beyeler, the founder of Fondation Beyeler, who established the Art Basel in 1971 with his freind, passed away this February. 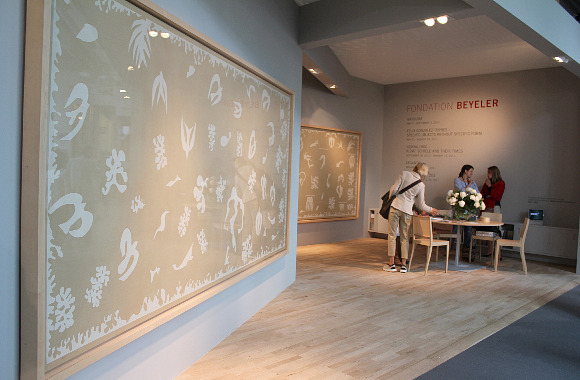 During the period of Art Basel, a demonstration developed by having “ACANTUS” by Henri Matisse as the core, was introduced in the special venue. At the Hall 2 site, with a booth very close to the entrance every year, Mr. in the photo was smiling gently. The birds that Matisse, one of his favorite aritsts, brought from the Polinasian sky were flying high. 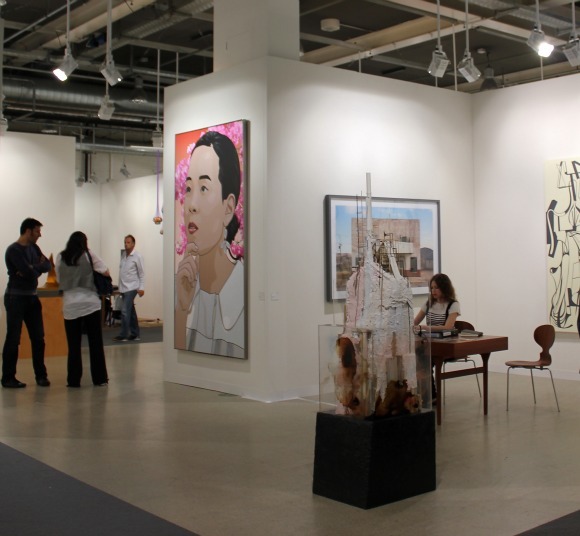 Art Basel plays a role of the place where artworks representing the present time are exhibited. 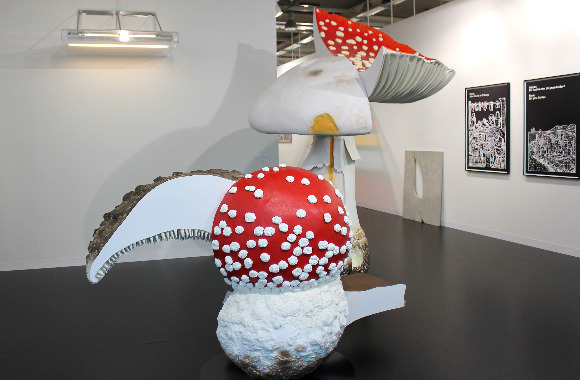 The Fair this year received quite a lot of criticisms of not being fresh, in that sense, because many works from the 19th and 20th centuries were displayed. 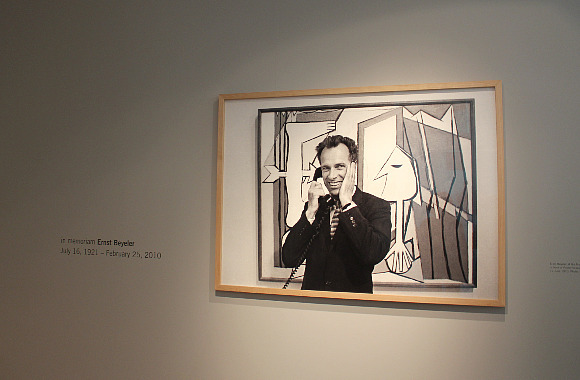 While it was true that the number of works classified as modern art and conceptual art such as those by Milo, Picasso, Kandinsky and Giacometti have increased, there were too many artworks that were easy to understand and worthy of comfortable investments. A few week ago, one article caught my eye. It was talking about one exhibition in an art gallery in Japan, and it described with an adjectival clause, “as if shown in a textbook…” I was pretty sure that it was a criticism but as I read further, I realized it was just contrary, and it was a praise expressing that it was incredible to see such wonderful famous artworks arranged side by side. It was just like the scales fell from my eyes. If expressed in such a manner, Art Basel demonstrates the works of the masters in the art history or geniuses who died early, or emerging contemporary artists with momentum, appearing in front of your eyes, as if you are turning the pages of the complete collection of art around the world, or very thick books of collected works in art galleries. I heard that the fair, when it started, had brought controversy because art was sold just like electric appliances or furniture. However, in the last 40 years, pros and cons or the meaning of the fair have changed tremendously. 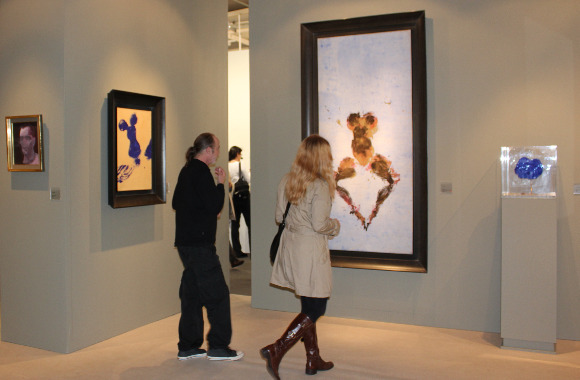 Although that might be true, I assumed for the first-timer visitors to actually see with their own eyes that the distribution was clearly taking place on site at the booths of the fair, instead of at the back of a gallery’s salon or grand auctions, would be quite something and surprising. From various corners in the venue, including Timothy Taylor Gallery from London, the comment, “very healthy market” was heard quite often. 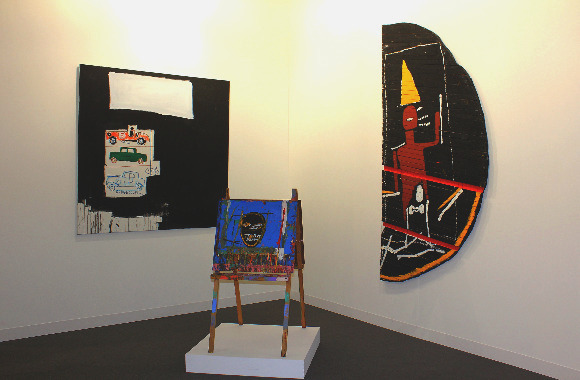 We heard that the trend in the last few years of investing in huge “contemporary art” because of the advice of financial consults, although it might be beyond one’s comprehension, has died down. 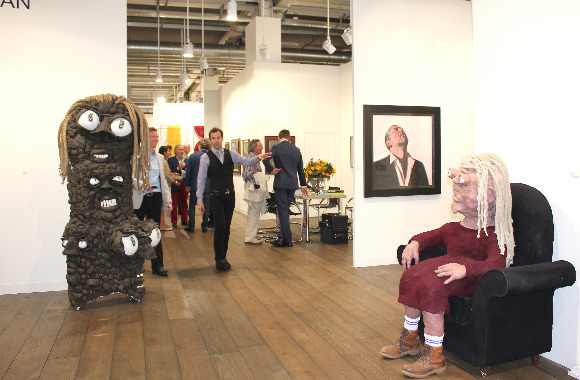 Apart from moving to the art galleries, art fans or top collectors gathered here to judge art with their own eyes, to be impressed and to select the one they wanted to have. 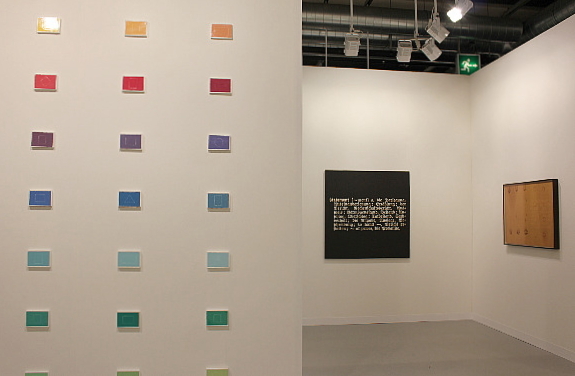 The role to influence the world and the importance of accumulation of Art Basel took pride in a serious manner. A young couple was talking with the gallerist in front of the work by Christo. Soon, 2 or 3 works were brought out from the back. Fortunately, as I just happened to walk by, I was also invited to see the series of his work. 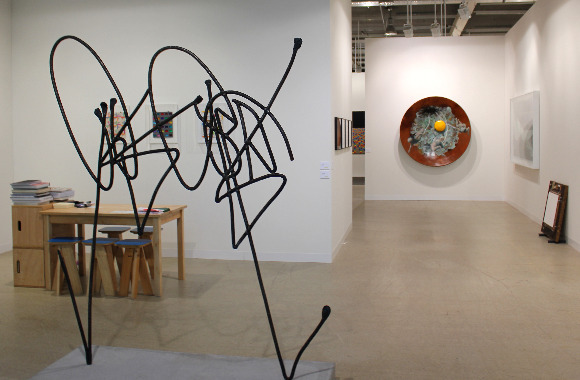 While it was said that notable works would have buyers already at the preview, many people still “purchased” at the site on weekdays, as artworks came and went. Garsons clad in black, carrying the bottle of Veuve Clicquot in the wagon of ice, were walking around the hallway. While these works were exhibited in the 300 galleries in the Hall 2, large-scale installations that were literally surpassing the size limit, or 3-dimentional works or videos were exhibited in the adjacent Art Unlimited in Hall 1, across the courtyard, and you could go through those, experiencing one by one. As the space is opened up from the floor all the way to the ceiling, it gave us a fun feeling of experiment of participating in a part of the art, just like you were playing in a swimming pool. Since the size was too large to carry in a car, those who wanted to purchase had to discuss somewhere else. 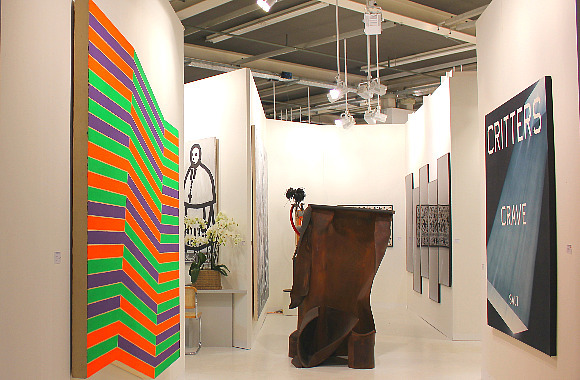 In conjunction with Art Basel, galleries in Basel held major exhibitions during the same period of time. 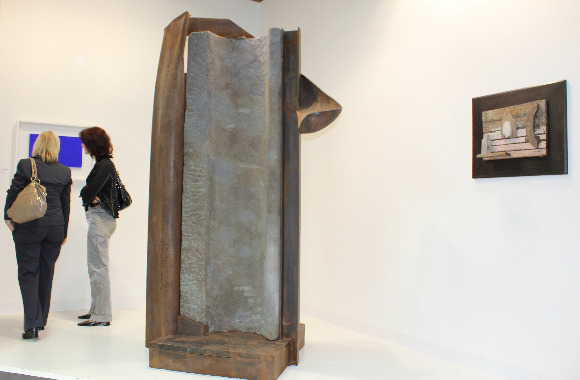 “Prayer Sheet with the Wound and the Nail” and “RESTRAINT” by Mattew Barny, who is one of the hottest artists and the partner of singer Bjork, were held in Museum. 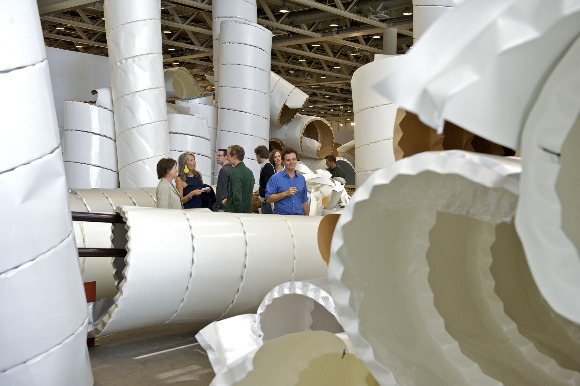 Drawing Exhibition by Trockel was in Kunstmuseum Basel. Jean-Michel Basqiat Exhhibition and Felix Gonzalez-Torres Exhibition, both of whom died young, were held concurently in Fondation Beyeler. 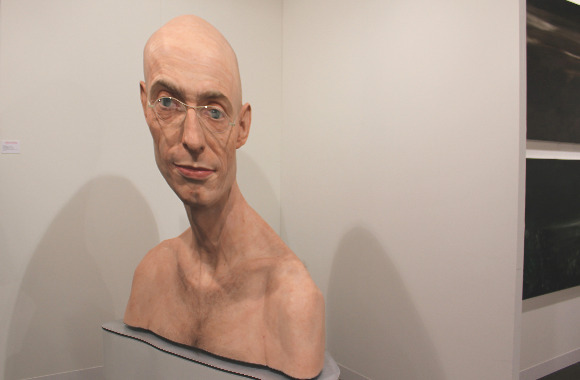 Furthermore, Rodney Graham Exhhibition in The Museum für Gegenwartskunst, and Robot Dreams Exhibiton in Mueseum were other major ones to note. 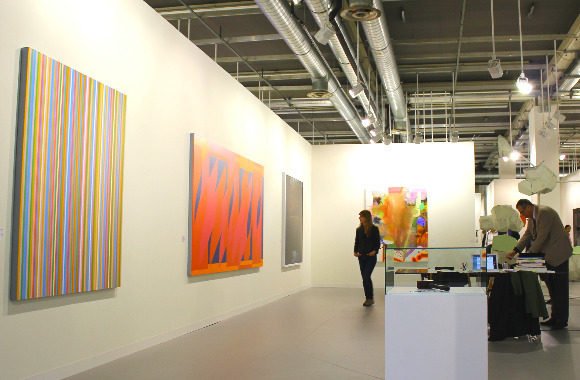 Looking at many art galleries in Basel, from the view points of architecture and smart planning, Basel surpasses Zurich as a town of art, as one would expect, which makes me understand the mutual relationship to simulate each other. A medieval town of pointed towers mixed with the culture is very interesting. 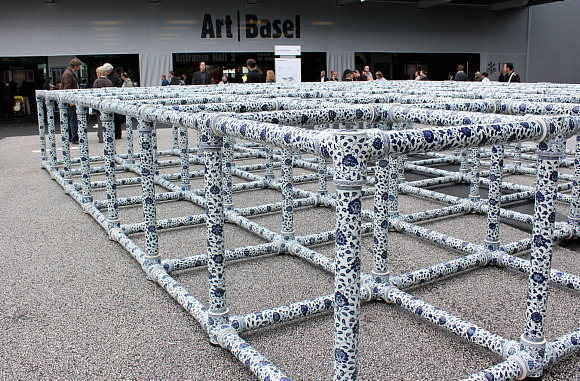 Art Basel, called the Queen of the World, spreads the cutting-edge contemporary art just like tree branches in this neighborhood, and creates a function of interlocking.